The majority of products pose no risk to public health, according to a new report from the European Food Safety Authority on Chemicals in Food. The report says that the horse meat scandal in 2013 increased media attention on the safety of meat in particular and one issue that emerged was the use of veterinary drugs in food-producing animals. However, it adds that the data seem to indicate that the situation is largely under control. Meanwhile in the US, two new reports from the US Food and Drug Administration show mostly decreasing antimicrobial resistance trends. The reports – the 2012 Retail Meat Report and the 2013 Retail Meat Interim Report – showed mostly decreasing antimicrobial resistance trends. The reports show a recent decrease in third-generation cephalosporin resistance among poultry meats continued in 2012 and 2013. And resistance in Salmonella from retail chicken declined from a peak of 38 per cent in 2009 to 28 per cent in 2012 and continued to decline to 20 per cent in 2013. Salmonella from retail meats remained susceptible to ciprofloxacin, one of the most important antibiotics for treating Salmonella infections. Similarly, Salmonella from retail meats were susceptible to azithromycin, another important antibiotic recommended for treatment of Salmonella and other intestinal pathogens. There was a continuous decline in the overall proportion of Salmonella that were multi-drug resistant between 2011 and 2013. In 2012, only one per cent of C. jejuni from retail chicken were resistant to erythromycin, the drug of choice for treating Campylobacter infections. Meat colour, tenderness, fatness and cooking are considered from the perspective of the consumer. 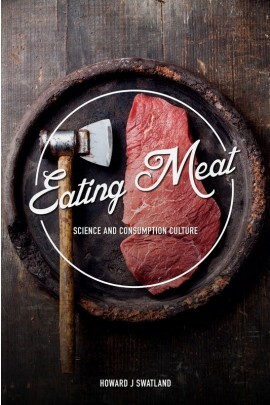 The book contains technical details of experiments on beef, pork and lamb and gives an overview of the complex historical and social issues involved in eating meat. As a region, Europe accounts for most of the global trade in eggs and egg products, explains industry analyst, Terry Evans. The Danish Meat Research Institute at the Danish Technological Institute has developed an advanced robot that can produce more uniform and precise pork loin cuts, resulting in a better quality of products that increase earnings considerably. The Bacillus cereus bacteria is one of the potential causes of food poisoning. Indeed, a recent study in Analytical and Bioanalytical Chemistry shows that this versatile pathogen produces 19 different variants of a poison that causes nausea and vomiting in human beings. The impact of industrially produced trans fatty acids (TFAs) on the health of citizens in the European Union has been the focus of political debate by Members of the European Parliament, representatives of the European Commission and the World Health Organization in Europe. US - The International Production & Processing Expo (IPPE) has been recognised as one of the Top 50 US trade shows. US - Zoetis Inc. has announced that its Board of Directors has appointed Paul M. Bisaro, Executive Chairman of Actavis plc, to the company’s Board of Directors. CHINA - Messe Frankfurt (Shanghai) Co Ltd and the Circulation Industry Promotion Center (CIPC), a subsidiary of the Chinese Ministry of Commerce, have signed a cooperation agreement for Meat Expo China, China’s leading trade fair for the meat industry. NETHERLANDS - The Meyn tail feather puller removes most of the long tail feathers from the tails. UK - Four craft competitions will be some of the highlights at this year’s Meatup/Food Science and Technology Show.